will unite forces with powerhouse producer James Corden for the next American Express Unstaged concert on YouTube. That's right—the actor, writer and television host you know from his work on hit comedy shows "Gavin and Stacey" and the "The Late Late Show" (which hit 1 million subscribers on YouTube last week) will tonight put his own theatrical twist on the show. In the last twelve months alone, British brothers Disclosure have garnered more than 222 million views on YouTube since last September, and have just released their new album, "Caracal," which features Lorde, Miguel, The Weeknd, Gregory Porter, and Sam Smith. Taking place at the Los Angeles Memorial Sports Arena just days after the release of "Caracal," this will be the first time that fans all over the world can hear new tracks performed live. As a quick warm-up, check out Corden interviewing the band and create your own digital “Disclosure Face” in the Unstaged app. Be sure to leave time to prep your glow sticks, though, as the live stream will start at 9 p.m. PT at youtube.com/americanexpress, youtube.com/user/DisclosureVEVO, amexunstaged.com, or the Unstaged app. Up to anything special tonight? No? Well, how about bringing a multi-talented producer and two of Britain’s fastest-rising DJs home for a live performance? Tonight, the dynamic DJ duo Disclosure will unite forces with powerhouse producer James Corden for the next American Express Unstaged concert on YouTube. That's right—the actor, writer and television host you know from his work on hit comedy shows "Gavin and Stacey" and the "The Late Late Show" (which hit 1 million subscribers on YouTube last week) will tonight put his own theatrical twist on the show. to catch performances by Pearl Jam, Beyoncé, Ed Sheeran and Coldplay, live on YouTube, un-leashed by T-Mobile. Tune in at youtube.com/globalcitizen/live to join YouTube creators MatthewSantoro, and Mitch Moffit and Greg Brown from AsapSCIENCE, who’ll bring you the latest from the event and take you backstage for all the behind-the-scenes action. They’ll be joined by Global Citizen hosts Stephen Colbert, Salma Hayek Pinault, Deborra-Lee Furness, Hugh Jackman and Olivia Wilde. Join the movement and support the goals to fight inequality, protect our planet, and end extreme poverty. It all begins at 12:45 p.m. PT on September 26 on the Global Citizen YouTube channel. No matter where you are this Saturday, you can have a front row seat at the 2015 Global Citizen Festival to catch performances by Pearl Jam, Beyoncé, Ed Sheeran and Coldplay, live on YouTube, un-leashed by T-Mobile. , and after some excellent road-testing by thousands of dedicated gaming fans (thanks, folks! 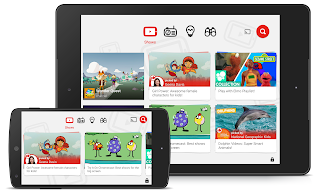 ), YouTube Gaming is now available. Blending gaming videos and live streams, YouTube Gaming brings you closer to the games, gamers, and culture that matter to you. YouTube Gaming is your go-to destination for anything and everything gaming because it automatically pulls in all gaming-related videos and live streams from YouTube. Viewers get personalized gaming recommendations based on the games and channels they collect. With over 25,000 game pages and even more gaming channels, it’s never been easier to connect with your gaming community. We’ve also made it easier to create a live stream — check out the beta version of our new way to go live at youtube.com/stream today. Find the English-language website (gaming.youtube.com) in any country where YouTube is available, or download the phone and tablet app from Google Play and the App Store, rolling out over the next few hours in the U.S. and U.K. Other countries will be coming soon. Together, we all make gaming better. Our peers make us better gamers, and games are made better by the communities that surround them. Thanks for your feedback as we brought you YouTube Gaming, and keep it coming. This is just the beginning. Frank Petterson, Engineering Manager, recently played League of Legends. P.S. For those of you who are going to be at PAX Prime in Seattle this weekend, check out our booth and stage show. If you can’t be there in person, we’ll be streaming our show (hosted by GameSpot, IGN, and Rooster Teeth) at gaming.youtube.com. As promised, and after some excellent road-testing by thousands of dedicated gaming fans (thanks, folks! ), YouTube Gaming is now available. Blending gaming videos and live streams, YouTube Gaming brings you closer to the games, gamers, and culture that matter to you. about upcoming changes based on user feedback. We wanted to give you an early look at what this will mean with respect to comments on YouTube, and to your overall YouTube experience. The headline: we think you’ll like it. Comments are super important to the relationship between creators and fans on YouTube. You love MyLifeAsEva and Kingsley. You thought that latest video from Tyler was his funniest yet. You want to tell Epic Rap Battles who their next match-up should feature. And these creators want to hear from fans like you, just as much as you want to communicate with them. All of these conversations should be simpler and easier to have on YouTube, and we’ve been working on that. First off, we’ve improved the ranking system that reduces the visibility of junk comments. It’s working—the rate of dislikes on comments has dropped by more than 35 percent across YouTube. This one’s further off. In the coming weeks, YouTube will no longer require a Google+ profile when you want to upload, comment, or create a channel. If you’re happy with everything as it is now, then just keep on keepin’ on. If you want to remove your Google+ profile, you’ll be able to do this in the coming months, but do not do it now or you’ll delete your YouTube channel (no bueno). Please visit our Help Center for further details. We’ve heard you. Keep talking to us. YouTube is built by one of the most engaged communities on the web, and you tell us when you want changes. Today, you heard from Google+ about upcoming changes based on user feedback. We wanted to give you an early look at what this will mean with respect to comments on YouTube, and to your overall YouTube experience. : Easily explore and discover videos you'll love with recommendations based on your watch history as well as playlists personalized just for you. But YouTube isn’t just about enjoying videos; it’s a place to express yourself and show the world what you love. With the redesigned app you can take your creativity to new levels using a new set of video creation tools. You’ve got an amazing camera in your phone or tablet, and now you can trim your footage, tint the image with filters, add music, and upload – all inside the app. 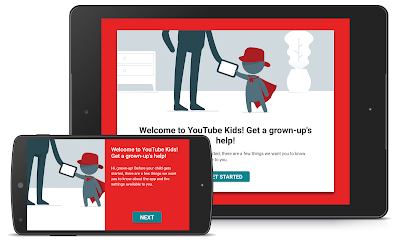 If you watched a YouTube video recently, chances are you did it on your phone or tablet. That’s because today, more than half the views on YouTube happen using mobile devices. So to bring you an even better mobile experience, we’re updating the official YouTube apps – making it easier than ever to find videos you love and create them, too. Home: Easily explore and discover videos you'll love with recommendations based on your watch history as well as playlists personalized just for you. to presidents have uploaded videos in support of LGBT awareness, to stand up against bullying and discrimination, and to say together, as a community, that marriage equality matters. YouTube has given creators like Tyler Oakley and Jazz Jennings, to entertainers like Ellen DeGeneres and Todrick Hall, a platform to entertain and inspire, while raising LGBT awareness in society as a whole. Thanks to creators and fans alike, YouTube has become a home to coming out videos and transitioning videos, a place where people can share advice, find a community, or encourage activism. Together, these videos help us see our common humanity in the faces and voices of those we might otherwise perceive as different. So today, we say “thank you” to all of those who were brave enough to show us that it really can, and does, get better—and how much better it still can get. Over the last 10 years, everyone from moms to presidents have uploaded videos in support of LGBT awareness, to stand up against bullying and discrimination, and to say together, as a community, that marriage equality matters. , Arab Spring and protests in Ferguson, to the Charlie Hebdo attacks and earthquake in Nepal, user-generated video has provided a unique and visceral perspective on what’s happening in the world around us. It’s almost impossible to turn on the news during a breaking event without seeing raw video uploaded by a YouTube user somewhere across the globe. The First Draft Coalition: You could say that user-generated news video is today’s “first draft” of capturing an event that took place. But when it comes to incorporating this content into the reporting of a news event, verification is a critical step for any newsroom -- and not every journalist knows where to start. So we’re bringing together a group of thought leaders and pioneers in social media journalism to create educational resources on how to verify eyewitness media, and how to consider the ethics of using it in news reporting. This new group, called The First Draft Coalition, will consist of experts from Eyewitness Media Hub, Storyful, Bellingcat, First Look Media's Reported.ly, Meedan, Emergent, SAM Desk, and Verification Junkie. The Coalition will develop and program a new site for verification and ethics training, tools, research, and, most importantly, case studies around the biggest news stories of the moment. The site will launch this fall, but in the meantime, check out the Coalition’s Medium collection, chock full of how-to posts and examples of UGC verification, which we’ll update every week. You can also follow First Draft on Twitter. The WITNESS Media Lab: Over the past decade, YouTube has provided a platform for people to share eyewitness video of human rights atrocities around the world. In partnership with WITNESS, we are supporting the WITNESS Media Lab, a new approach to tackling pressing human rights issues through the analysis of citizen video. The WITNESS Media Lab - in collaboration with innovators in the technology, advocacy and journalism fields - will produce a series of in-depth projects that focus on human rights struggles as seen from the perspective of those who live, witness, and experience them. The first project from the WITNESS Media Lab will explore the impact of bystander video in bringing about justice in police brutality cases in the United States. Check out the new site and follow the WITNESS Media Lab on Twitter for more updates. , followed by the Bethesda press conference and the unveiling of the latest installment in the "Doom" series. On Monday, June 15, at 9 a.m. PT, the wall-to-wall coverage will continue with a 12-hour live stream marathon, hosted by Geoff Keighley, brought to you by the movie “Self/less” - in theaters July 10. Geoff and YouTube gaming creators will bring you live coverage of press conferences from publishers like Xbox, Sony, EA and Ubisoft. The program will include live “Let’s plays” of new titles, plus celebrity interviews along with other video game stars from the YouTube family. You'll also get live coverage from IGN and GameSpot, just like last year. The play-by-play coverage will continue with hundreds of hours of live and on-demand content throughout the week directly from YouTube’s booth at E3, hosted by RoosterTeeth, along with our legendary Trailer Battle, Nintendo’s Digital Event and Treehouse Live, as well as other exclusive gaming content. From live reactions and gaming demos, to trivia showdowns and “Meet the Makers” sessions with industry experts, the E3 YouTube hub will offer you the easiest place to explore the best of E3. Stay tuned starting on June 14. Ryan Wyatt, global head of gaming content, recently watched "E3 Live on YouTube 2015 announcement video." We’re now only two weeks away from the start of the Electronic Entertainment Expo (E3) in Los Angeles, and you can get a front-row seat to the action with YouTube! We're inviting your favorite YouTube creators to show us what's cool and coming up next in the world of gaming, so you can experience every jaw-dropping demo and announcement LIVE. We are building out a dedicated E3 YouTube hub where you will be able to follow all the live streams and trailers from the event, starting on Sunday, June 14, with the Nintendo World Championships, followed by the Bethesda press conference and the unveiling of the latest installment in the "Doom" series. from all corners of the globe would come together in that space to experience what the world creates, broadcasts, and shares? Yeah. We were surprised, too. Thanks for a wild and inspiring 10 years. Now, you've got 300 hours of video to capture and share in the next minute. So get back to it! “Me at the Zoo” proved to be a simple distillation of the premise of a new platform, where anyone could just turn on a camera and broadcast themselves with ease. Who could have predicted that, in that same environment, new genres, new forms of expression, and new paths to stardom would evolve? That engaging and unique personalities borne of this place could be more influential than Hollywood's biggest names? Or that more than a billion people from all corners of the globe would come together in that space to experience what the world creates, broadcasts, and shares? YouTube is a portrait of our global culture, seen through the lenses and perspectives of people around the world. It is a portrait built by a creative community of bold and fearless individuals. Built by comedians, gamers, activists, artists, performers, teachers, and pranksters. Built with cats and rainbows and blenders and ninjas and unicorns. It was built on the silly. It was built on the profound. It was built by you. And 10 years in, you continue to redefine how the world experiences music, entertainment, and news. How the world laughs and how the world learns. How we shape political events and how we connect over the things we love. You’ve helped turn creators into the biggest names in entertainment. You’ve given people opportunities to share their voice and talent no matter where they are from or what their age or point of view. You built a world where little ideas can bring about amazing things and where amazing things can bring little delights to each of us. So in honor of our 10th birthday, we’re celebrating you, our YouTube community. Every day over the next 26 days, we’ll take a look back at some of the most memorable moments, from the silly to the profound, that you’ve shared on YouTube in the last 10 years. It’s YouTube from A to Z. Literally. You can follow our celebration throughout the month of May on our YouTube Trends blog.